So now we know what’s out back. Not quite so spooky as Georgia and I had made it out. Quite spooky at night, though. Is this location near where the dead body is lying? No, it’s a half-a-mile away. Now that the friend has arrived, I’m going to take a closer look and see if it really is a body. I will report back. This would be a good hideout for a murderer, though. If you were surrounded by the police you could silently swim out the back way. Oh, I have just found this piece of evidence. I should study carefully. That’s a good question. 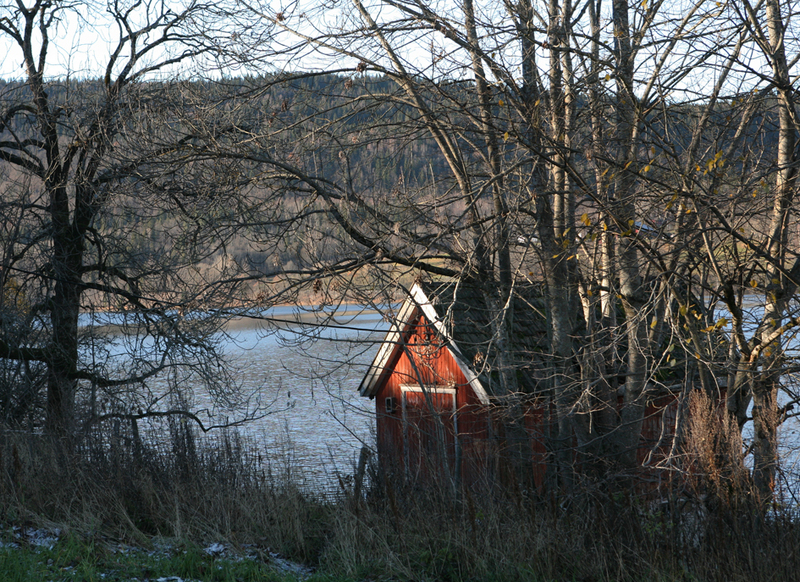 The Norwegian example is one of those nice wooden buildings where the roof hasn’t been looked after and so the whole thing is rotting away. I hate to see that!